The Standard Plus room features tastefully furnished and neatly appointed interiors to preserve the heritage charm, pristine white limestone wall with beautiful display of artifacts. 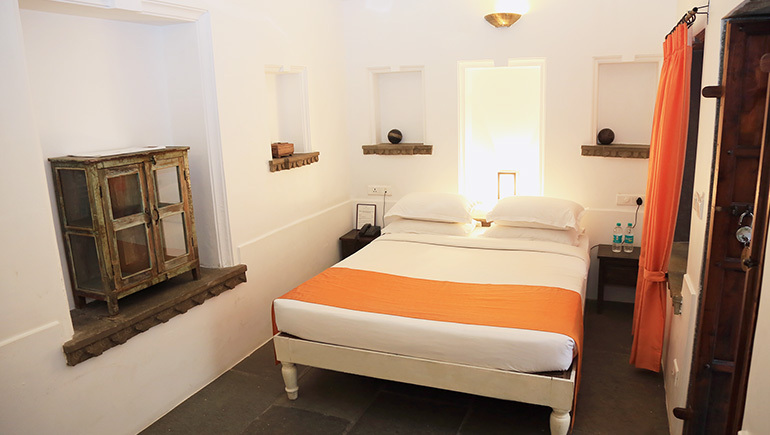 They are equipped with modern amenities and king size bed, allowing the guests to enjoy the best of both the worlds. Breakfast Included + Free WiFi unlimited. Free bus/train station drop. Welcome drink on arrival. Our rooms are designed to transport you into an environment made for leisure. Style, space and architectural designs for a perfect hotel lifestyle.